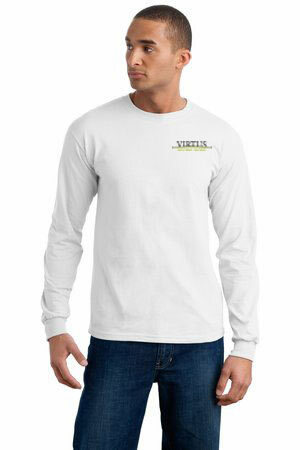 Ultra Cotton - 100% Cotton Long Sleeve T-Shirt. 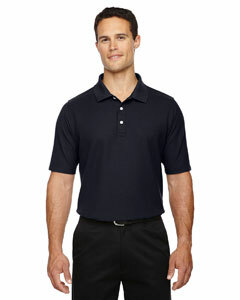 6.1-ounce, 100% cotton, double-needle collar and hem with neck and shoulder tape. $30.40 - 2X (XXL) and larger adds $2.20 for each size. Extra-heavy 82% cotton/18% polyester 12-oz. fabric with sewn-down label, 1x1 rib at underarm sides and bottom band and 1x1 ribbed knit cuffs boasts low-shrinkage. 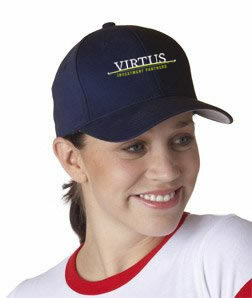 98% brushed cotton, 2% spandex 6 panel, structured, mid-profile with eight-row stitching on bill and 3 1/2" crown. Hard buckram backed front panels. Sewn eyelets. Spandex sweatband retains shape. Silver underbill. $41.50 - 2X (XXL) and larger adds $1.50 for each size. A layer of comfort & protection on the green or anywhere the sun is out in full force. This special Dri-FIT fabric wicks perspiration away from the skin while shielding it from ultraviolet rays with built-in 30 UPF protection. 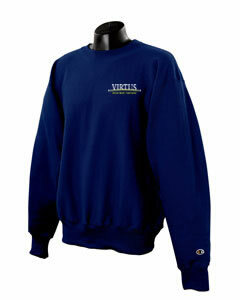 Design features include a flat-knit collar & contrast Swoosh design trademark embroidered on the left sleeve. 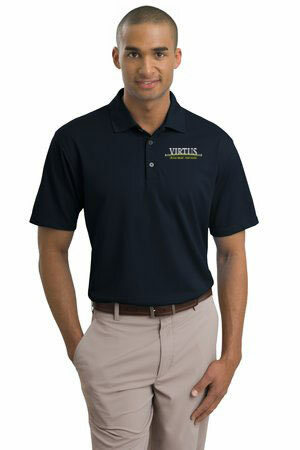 Made of 5.3 ounce, 100% polyester Dri-FIT Fabric. Pearlized buttons are selected to complement the shirt color. Features a three-button placket & open hem sleeve. Enjoy unparalleled performance thanks to Dri-FIT moisture management technology. Design features include a flat knit collar and open hem sleeves. Pearlized buttons are selected to complement the shirt color. The contrast Swoosh design trademark is embroidered on the left sleeve. 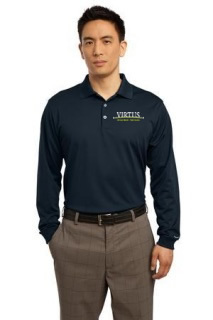 Made of 5.3 Oz., 100 percent polyester Dri-FIT fabric. Tailored for a feminine fit with a 4-button placket. $55.40 - 2X (XXL) and larger adds $1.50 for each size. 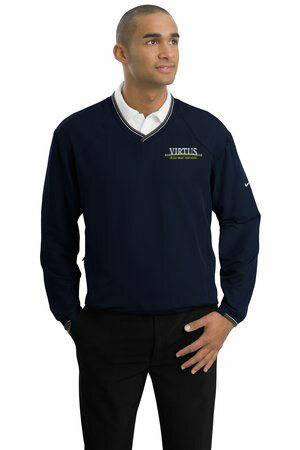 Long sleeves elevate this polo to another level of sophistication while Dri-FIT moisture management technology adds unparalleled performance. Stretch fabric for hassle-free swinging motion. Heat transfer label for tag free comfort. Three-button placket with dyed-to-match buttons. The contrast Swoosh design trademark is embroidered on the lower left sleeve. Side vents. 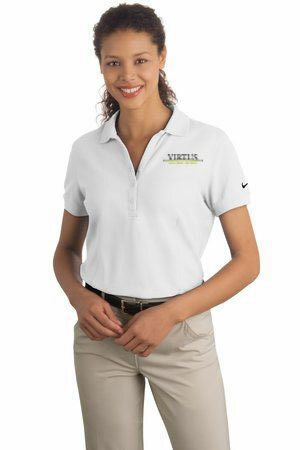 Made of 5 Oz., 100% polyester Dri-FIT fabric. Features flat knit collar and cuffs. $10.00 - 2X (XXL) adds $1.50. 3X (XXXL) and larger adds $0.50 for each size. $20.00 - 2X (XXL) and larger adds $1.50 for each size. 100% Cotton with EZ Cool™ total garment wicking technology gives you the comfort of cotton you love, with the moisture-wicking performance of polyester you want. Our exclusive Dry-Engineering Technology has created simply the best polo in the industry. Our legendary 20 Wash Guarantee means you'll never have to worry. Ever. $70.69 - 2X (XXL) and larger adds $2.00 for each size. Stay out and about in any weather with our Summit collection. Each piece is wind-resistant and fashioned from 100 percent polyester plain weave fabric that is waterproof to 10,000 mm and exceptionally breathable. These fully lined pieces are built to protect you when the weather shifts between wind and rain. Sizes: S-3XL.